Mitchell commits to Hawks Tom Mitchell has committed to the Hawks as Graham Wright confirmed that the Hawks and Swans have made an agreement to sign off early next week. 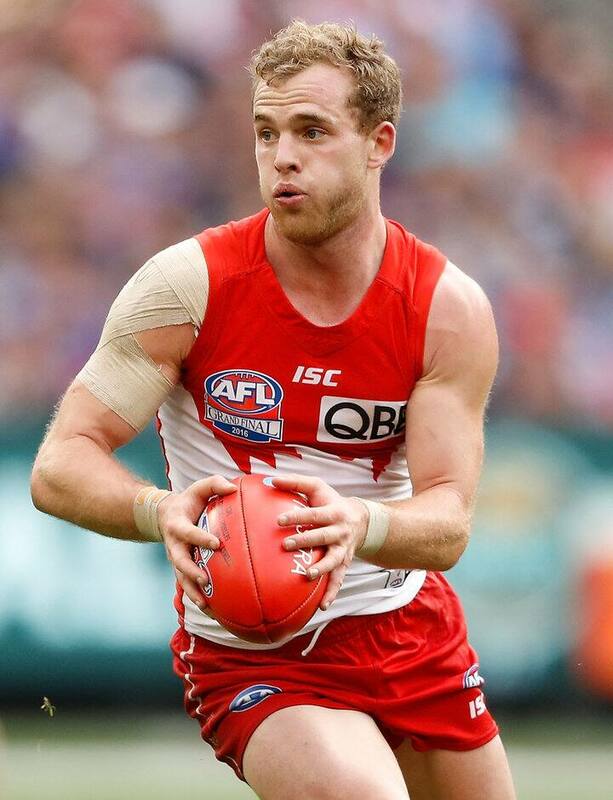 Tom Mitchell will join the Hawks in 2017. HAWTHORN Football Club can confirm midfielder Tom Mitchell will join the Hawks after a deal was reached with Sydney Football Club today. Hawthorn and Sydney have an in principal agreement in place which will see the Swans receive pick 14 in this year’s NAB AFL Draft in exchange for Mitchell. The clubs have also agreed to swap later picks in the draft which will be formalised next week. Mitchell was drafted to the Swans in 2011 from Claremont (WA) as their 1st round father-son selection (No. 21 overall). The 23-year-old has played 63 career games since making his debut in 2013 and kicked 38 goals. “We are excited to have an in principle deal done with the Sydney Swans for Tom Mitchell to join the Hawks for the 2017 season and beyond. “Tom has had a fantastic season for the Swans, particularly in the second half of the year. “He's a high quality person and at only 23 years of age has plenty of football ahead of him. “Tom has the flexibility to play multiple positions but we believe he'll primarily play as an inside midfielder. Mitchell is the second player to join the Hawks during this year’s trade period after a deal was reached with Ty Vickery on Monday.